There are approximately 10,000 bird species in the world – so how can you know which birds you see? Identifying birds is not as difficult as it may seem, and with some careful steps and thoughtful observation, it's easy to identify birds, whether they're in the backyard, a local park, or a national wildlife refuge. Binoculars: A good pair of binoculars will magnify birds and bring them into good views, showing off colors and field marks so the birds can be identified. Look for binoculars with 8-10 times magnification for the best use, and while there are many different brands available in different price ranges, choosing a better pair will be more useful for dedicated birding. Field Guide: These books list all birds in a specific region, including photos or illustrations of each species, range maps, and brief descriptions of what key features to look for to identify birds. Good guides will show both male and female birds, as well as juvenile birds that may look different than adults. For most birds, a combination of several of these features can positively confirm what bird species it is. Listening: Birds have unique songs and calls, and learning those sounds can help you identify individual bird species even if you only hear them and never get a good look at the bird. 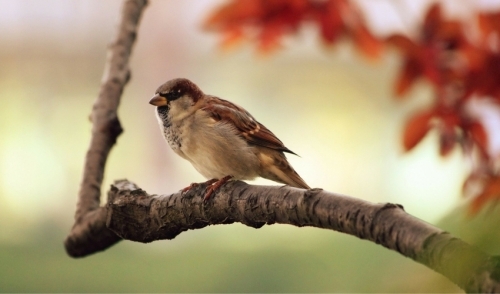 Behavior: Birds behave in special ways, and the way a bird flies, feeds, walks, acts around other birds, or engages in other distinct behaviors can help identify each species. Photographs: Taking photos of birds can be useful for identification. Use photos to "capture" birds, then review the photos for field marks and other details to identify the bird. Every birder has one hard lesson to learn about bird identification – it's not always possible to identify every bird. Poor lighting, distance, blocked views, and other factors can make it impossible to be sure about a bird's identity, but rather than getting frustrated or giving up, using that opportunity to enjoy the birds and appreciate their beauty can keep birding always pleasant and interesting.